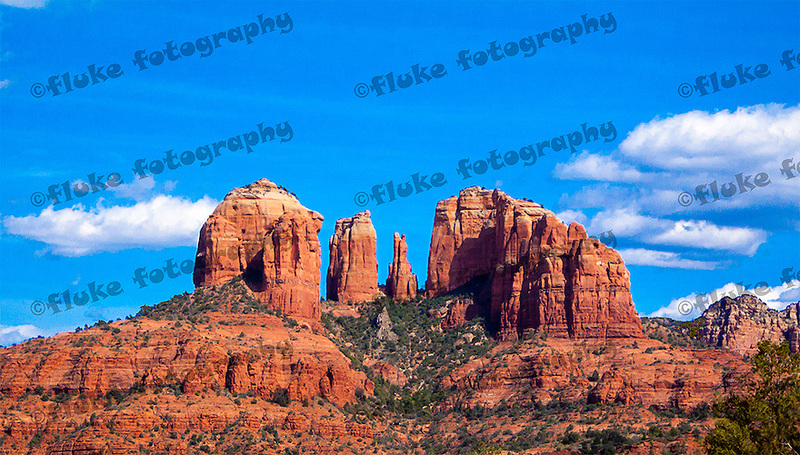 Cathedral Rock, captured during late May 2009, traveling North on Interstate 17 between Phoenix and Flagstaff, Arizona. 20" x 11". Limited Edition of 25.